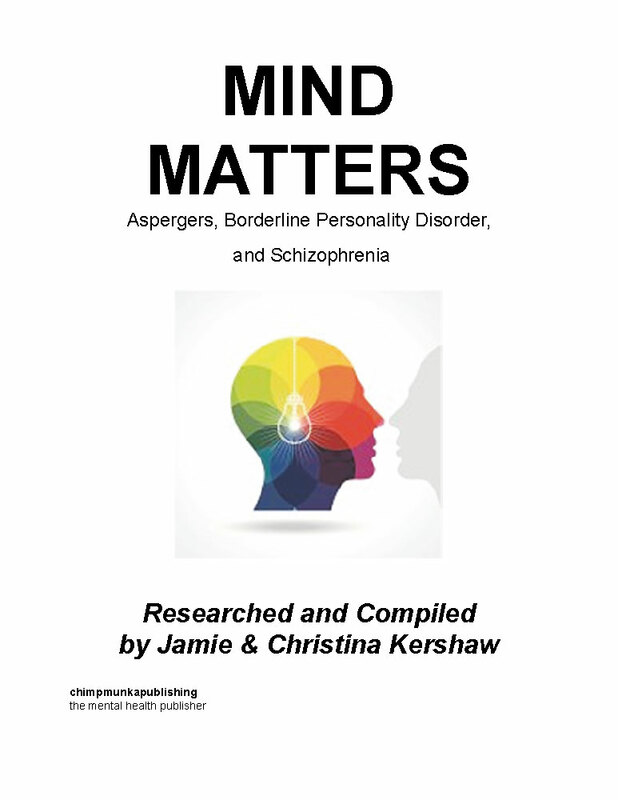 Mind Matters: Aspergers, Borderline Personality Disorder, and Schizophrenia is a mental health research project, looking into the three conditions via means of some detailed ‘compiled-­research’ and eight Interviews (seven people who live with these conditions, and one Consultant Psychiatrist). Significantly, since the year 2007, one of my greatest friends has Asperger’s Disorder, I have a diagnosis of Schizophrenia, and my wife has recently been diagnosed with Borderline Personality Disorder. Put all this together, and we have motive to write this book! Also, there are notes about sixteen inspirational ‘mental health’ movies and sixteen inspirational books. You could read the Summaries and Conclusions to find how we discovered sixteen common bonds between the three conditions. With much gratitude to those in the acknowledgements, we write as follows. Jamie was born in York (1978), and has spent most of his life in the North-East of England, living in Scarborough, North Yorkshire, for 10 years. He was first diagnosed with schizophrenia in 1998 (aged 20). Mind Matters: Aspergers, Borderline Personality Disorder, and Schizophrenia is his fourth writing project with chipmunkapublishing (also: Plan 103f – 2010; The Green Dragon – 2011; Grandpa Billy - 2013). There are plans to write a sequel to Plan 103f, and further writing too! Christina was born in Scarborough (1983), North Yorkshire, U.K. and has also spent most of her life in the North-East of England. We have spent the last two years collaborating on writing this project together. She is a full-time mother with young family. In truth, we owe a debt of gratitude to Dr Than Lwin (Family Paediatrician) at Scarborough General Hospital, as it was he who recommended writing this book in the first place. In 2011 we took our twin boys to see him (who were then aged 2 years) and he gave them a Griffith’s Assessment to determine their cognitive skills, and various motor-functional tests. Dr Lwin got talking with me, and on discovering that I try to write, he immediately recommended writing about Asperger Syndrome. Was this an indirect reference to a possible (undiagnosed) medical condition? He was not alone in this allusion – a good friend of mine also made it known that this was a distinct possibility. 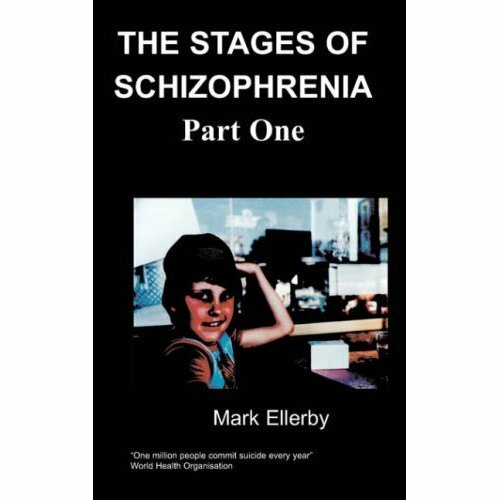 Having lived with a diagnosis of Schizophrenia for fifteen years, since the age of twenty (with possible early symptoms at school aged seventeen) and meeting my future wife within a psychiatric hospital in the year 2000 (whom was later diagnosed with Borderline Personality Disorder) the germ of an idea occurred to co-author this book together – to concern, compare, and contrast the three conditions. How should such a topic be approached? How could such a project arouse interest? We thought hard about it for a long time, and came up with a format for the project – interview several people who experience such conditions, back it up with research, and qualify all of this by interviewing a willing Consultant Psychiatrist. Also, to add intrigue, throw in some inspiring movies, and literature, relating to Mental Health Problems. Respecting anonymity where requested, there are eight completed interviews/informal conversations – either written directly, or recorded on Dictaphone and later transcribed. We have gone for (what we hope is) quality rather than quantity. Our conclusions are drawn purely from this research and our own experiences. In my twenties, under the Mental Health Act, I experienced three compulsory Section 3 (6 month) stays in Psychiatric Hospitals (2000-2006 in Scarborough and Middlesbrough). Also, in 2012, I was admitted to Harrogate Hospital voluntarily, as stress levels were dangerously high – for a week’s bed rest. These experiences caused enough emotional turmoil to make me want to write something about mental illness. As a voice for those with mental illness, chipmunkapublishing had already published my first three paperbacks; this led to us thinking in terms of this book, too, being published by the Mental Health Publishers. Very Many Thanks to Jason Pegler (CEO), Will Kettle, and Andrew Latchford at chipmunkapublishing! I feel that, as so very many people have been involved in our lives through the NHS Mental Health Trust, it is time to help others through writing (we hope?) and maybe express significant thanks and gratitude to those professionals who helped us through bleak periods in the last fifteen years or so. This project, ‘Mind Matters’ consists of several components. Firstly there is a compilation of research prior to the voluntary and anonymous interviews, of who there are three gentlemen who suffer Asperger’s Syndrome, one lady who suffers Borderline Personality Disorder (she has a friend with Asperger’s, and a husband with Schizophrenia), and three volunteers (one lady, two gentlemen) who suffer Schizophrenia. There is also an interview with a Health Care Professional (my previous Consultant Psychiatrist - which I hope adds validation to this project? ), and was aiming to get different points of view from anybody who might be willing to participate. Some research talks about the effects of marijuana and other drugs on Mental Health. This is linked in with the compiled-research. Not too extensive, but a reasonable amount to get a good idea. Also, there are some notes taken from DVD’s and Wikipedia, about sixteen inspirational movies (based on Mental Health issues); notes about sixteen inspirational books which I have read (again related to Mental Health and personal improvement areas); and finally we have drawn up Summaries and Conclusions from this research project.